Avoid The Points & Fine! 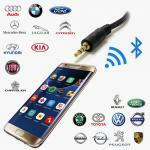 Get a Handsfree Car Kit for Phone Calls and Music Streaming! Love DAB? We do too! 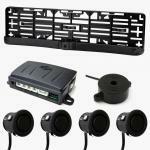 Digital Radio Kits for All Types of Vehicles Found Here! Amp it UP! 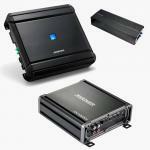 Get the most outta your audio system with our huge range of Amplifiers! 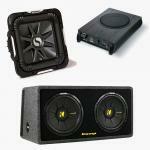 Whether you love that Deep Bass or complement your Sound, Our range will have your senses tingling! Pass the Aux Cord! 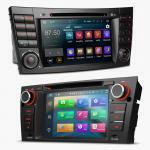 Get Music Streaming or Aux For Your Vehicle! 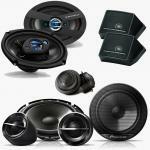 Get your Car Stereo looking and working great with our Fitting Kits! 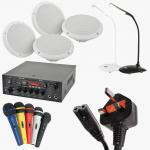 Get Your Product Professionally Fitted By Us! Welcome to In Car Music, East London\'s Leading Stockists & Installer of Car Audio, Alarms & Security products, Car DVD & Navigation. 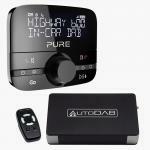 This includes Car stereos Multimedia, CD Players, DVD Players & OEM replacement Car Radio, Car Speakers, Car Radios, Subwoofers, Speakers Amplifiers, MP3 Players, Aux In Stereo, USB Car Stereos, DAB Stereos, LCD Screens, DVD Screens, Handsfree Car Kits, Dash Cams, Accident Cameras, Reversing Cameras and Reverse Sensors. 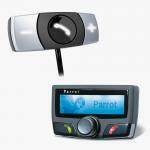 We also provide services relating to Car Audio Security and we stock car alarm, immobilsers, car van tracker, tracking systems from manufacturers like Autowatch, Viper, Hornet, Code alarms, Cobra, Meta, Tracker and Clifford Car Security Systems. 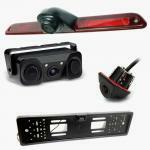 We also supply and install Motorcyle Security, Bikes Alarms,Tracking and Accessory brand by Datatool. 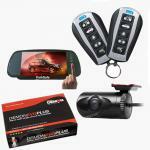 We professionally install Autowatch Ghost Immobiliser for all types of cars with keyless start! Alot of the newer cars are targetted due to the ease of cloning the key and driving away with your car, prevent having your car stolen by having one fitted today! We supply and fit Dynavin and Xtrons Products! OEM Like Replacement screens for your vehicle! Offering and OEM like replacement screen whilst giving you additional features such as SatNav, Bluetooth, DVD/CD, USB/SD, Aux, all merged into a smooth and fluid OS giving you the ultimate experience in \'In Car Entertainment\' without sacrificing the interior look of your vehicle! 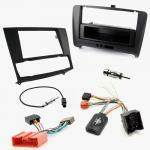 If you need to add to or change the head unit in your car, then we have the car stereo fitting solution for you. We have a large range of car audio fitting accessories like Fascia Panels, Parrot SOT leads, Remote Controls, Speaker Adaptors, Steering Wheel Interface, Radio Release & Removal Keys, ISO Lead Wiring Harness, Car Stereo Fitting Kits, Double Din Facia, OEM AV accessories. 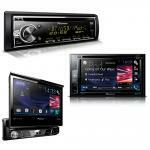 We now stock all kind of Car Stereos, iPod iPhone Interfaces & Aux Adaptors for your factory fitted Car Radios. We Stock a wide range of Car Audio and Multimedia DVD products from all major manufacturer including Alpine, BlackVue, Thinkware, Pioneer, Dynavin, JVC, Kenwood, JL Audio, Kicker Car Audio, Focal, Silent Witness, Sony, Audison, Hertz and Veba, then you have come to the right place. 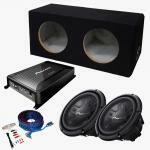 We have Car Stereo Installation facilities using the latest equipment, be it for a simple CD player to a full blown In-Car Entertainment system. We offer professional Car stereo installation service, Car Audio installation fitting service And also In Car CCTV Systems For Cars, Taxis, Vans etc. Other services we offer are radio decoding, key cutting and programming, covering chipped keys, transponder keys and remote key fobs. If you can’t find what you’re looking for, please contact us. We also offer Car Rental & Hire Services for PCO Approved Drivers like Uber, Private Hire Taxi and Mini Cab drivers. You can rent hire a cheap PCO Car Toyota Prius Hybrid for Uber from £99 per week. We have a large number of PCO ready vehicles like Toyota Prius, Toyota Prius Plus, Toyota Auris, 5 Seater Cars or 7 Seater cars available to hire in order to meet everyone’s budget. We also now stock a range of Electricals and Health & Beauty Products, such as Hair Dryers, Straighteners, Curling Tongs, Shavers & Clippers etc... From brands such as Babyliss, Remington, Toni & Guy, Omron, Oral-B, Braun, Tanita, Philips, Sony, Panasonic, Revlon and much more!